Ever so, once in a while, I chance upon a recipe that gets me going. When I first found this recipe, I was really intrigued. A combination of Nutella and Oreo sounded like a match made in heaven. Then I got to reading the recipe a little more closely. And I discovered that this is a cookie that is made, not just with Nutella and Oreo, but also with peanut butter. Why didn't I think of that before?! To make these cookies, I had to make a batch of Nutella and Oreo dip. This was done by bashing up some Oreo cookies that had been placed in a zip lock bag with a rolling pin and then combining that with Nutella and peanut butter. It is a good idea to leave the cookies slightly textured. You don't want to bash the cookies until they turn into powder. Because I ran out of creamy peanut butter, I used chunky peanut butter instead. Obviously this meant that my dough would be less smooth, but it was not a big deal. Using the paddle attachment of my mixer, I mixed everything for about 3-4 minutes. This, being a dip, can be served immediately. You can use it as a spread for your toast, or a filling for sandwiches or in whoppie pies, etc. The dip can also be kept in the fridge or at room temperature in a cool, dry place, in an air-tight container for up to 2 weeks. Since I wanted to make cookies, to this dip, I added the egg and sugars, and continued mixing for another couple of minutes. Then I added sifted cocoa powder, baking soda, espresso and vanilla extract and mixed until everything was well-combined. This was transferred into a smaller bowl, wrapped with cling film and placed in the fridge to chill, at least for an hour. Because I wanted slightly larger cookies, I used a medium cookie scoop to form small balls. These were placed onto a baking sheet (or Silpat) before I pressed lightly to flatten the tops. Then I baked the cookies for about 8 minutes, until they were baked. Take care not to over bake the cookies as they would firm up as they cool. And there you have it! The brilliant combination of Nutella and Oreo and Peanut butter, all in a bite! I have just spent a week updating my blog! I hope you love the new layout as much as I do! To celebrate, I am hosting a giveaway for 2 Microplane graters! To enter, follow the instructions in the Rafflecopter below! Good luck! a Rafflecopter giveaway Giveaway ends on Wednesday, April 16, 2014 at 12:00 a.m. Pacific time. The winner will be selected by random.org and contacted by email. If there is no response after 48 hours, another winner will be selected. Open to overseas entrants. 1. 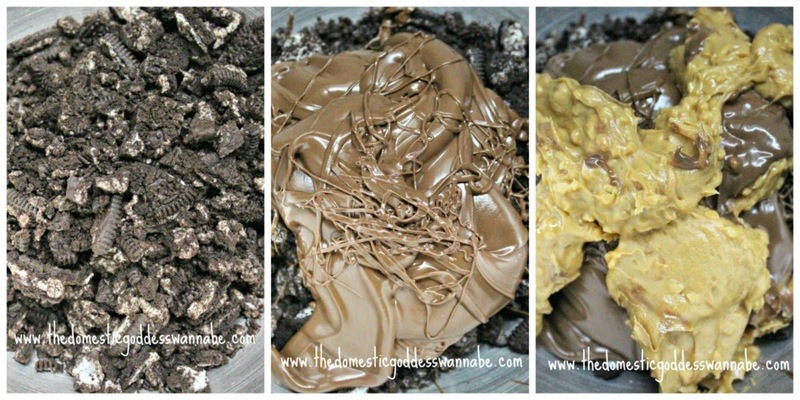 In a large mixing bowl, add Nutella, crushed Oreos and peanut butter. Note: This can be stored in an air-tight container (either in the fridge or at room temperature in a cool, dry place) for up to 2 weeks. 1.Into a mixing bowl, add Cookie Dip, egg and sugars and beat for about 2 minutes on medium-high speed. 2. Scrape the sides of the bowl and add the remaining ingredients. Beat for 1 to 2 minutes, on medium speed until the ingredients are well-combined. 3. Cover dough with cling film. Chill for at least an hour. 4. Using a small cookie scoop, dish out balls of dough. Place on baking sheets and press lightly to flatten the tops. 5. Bake at 170C for 8 minutes. Let cookies cool on tray for about 10 minutes. 6. Transfer onto wire racks to cool completely. Note: Cookies can be stored in an air-tight container at room temperature or fridge for up to one week, and in the freezer for up to 3 months. Im gonna so gonna try this! Thanks for sharing all your yummy bakes and cooking. Have a good day. 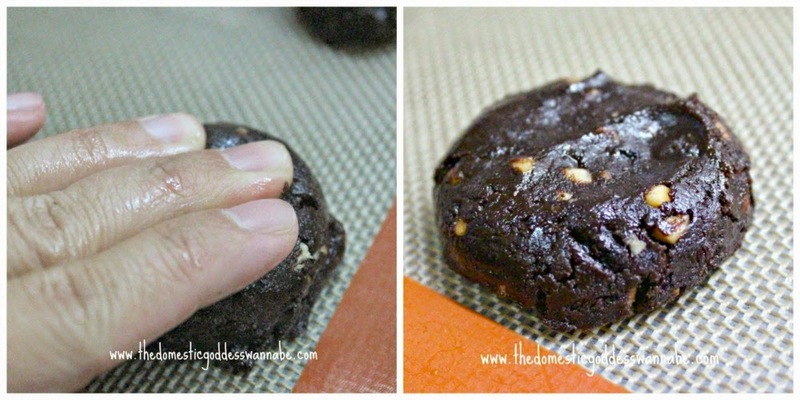 Chewy double chocolate cookies with nuts and chocolate chips! korova cookies always my favorite! Wow! These, I would say are super loaded with chocolaty nutty gooey goodness! Viennese whirls with dark chocolate! My fav cookies are cookie chip with macademia nuts! Delish looking cookies! all the favourite ingredients in one cookie! Make mine a chew y double chocolate chip cookie!